Welcome to the My Creative Time 48th Edition Release Blog Hop! Today is a happy day, because finally it’s release day for all of the wonderful products you’ve been seeing in the sneak peeks throughout this past week. 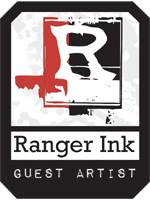 I am so excited to be joining in on the fun with a special guest designer project. You should have arrived from Veronica’s blog, but if you’ve gotten lost anywhere along the way, you can always pop back to the start at My Creative Time. 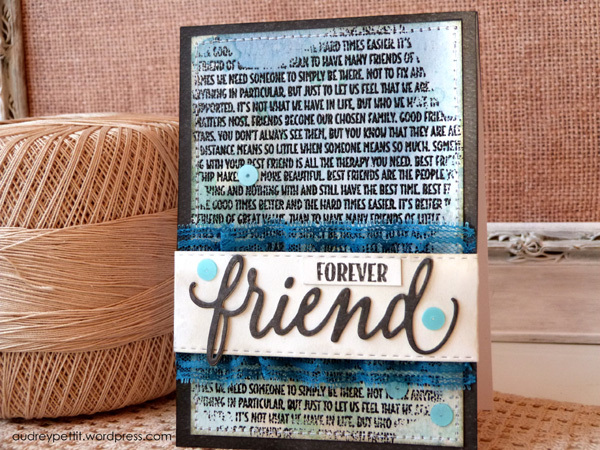 For my hop project today, I have made a friendship card using two of the fabulous new sets from this month’s release, the Best Friends Background stamp and the Friendships are Forever stamp and die set. This fun watercolor card is a petite 3.5″ x 5″. But what it lacks in size, it more than makes up for with plenty of color and a bold graphic design. I really love working with watercolors because you get the most beautiful blend of colors, and no two pieces ever turn out exactly the same. For my card, I began by stamping the adorable Best Friends Background stamp in Versamark ink onto a panel of watercolor paper, and then heat embossing with black embossing powder. I let the edges of the embossing fade off for a shabby distressed finish. Then shades of blue and green Distress ink were added with a very wet paintbrush. 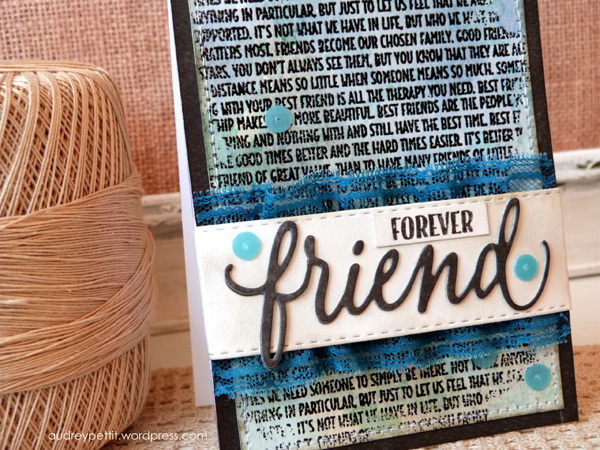 The sentiment was made from the Friendships are Forever stamp and die set. I did some partial stamping for the “forever”, and completed the greeting with the complementing die cut. Layered both onto a strip die cut from last month’s versatile Stitched Belly Band set. Then topped all with a bit of trim and sequins. Thank you so much for stopping by! I am the last stop along the hop. But before we go, here’s a bit of information for you about today’s release. For our “Freebie” stamp for this release, we are giving away this ADORABLE “Bestie” die to the FIRST 150 shoppers! If you are one of the first 150 shoppers, you do not have to add this set to your cart, as it will be entered automatically. After that, this set will be available for purchase in the shop, along with the rest of today’s release. For our blog hop giveaway, Emma is giving away a $50 gift card to the “My Creative Time” store to ONE LUCKY winner! ALL you have to do is leave a comment on each of our blogs! You are NOT required to comment on EVERY SINGLE blog, but the more you comment on, the MORE chances you have for winning! VERY IMPORTANT, PLEASE leave a way for us to contact you w/your comment just in case “YOU” are the lucky winner! 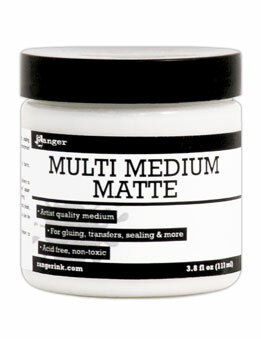 ALSO, DON’T FORGET our sale starts RIGHT NOW here: http://shop.my-creative-time.com/New-Release_c40.htm! 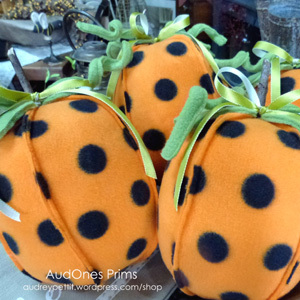 Use the code: OCT2015 to receive a discount off your entire purchase! This sale applies to “IN-STOCK” items ONLY. This sale will end on Friday, October 30th @midnight PST. ← Halloween Haunted House Tour, Cont. What a pretty card. Love the bold color. Such a sweet set of friendship products used on your wonderful card! I love the water coloring! This is gorgeous Audrey!!! Awesome job!!! Beautiful card, I love the new release, tfs. love the “grungy” look of your card! oh and adding the tulle is the perfect touch! Audrey ~ Oh my this is GORGEOUS! I LOVE how you did the background stamp!! Such a fun way but then add in those colors and the other details ~ stunning! So happy you could join us again!! Beautifully done! Very pretty card! The background is amazing and I love the added lace too! Wonderful job! The banding with the friend really pops off the card. Woow!! This card is amazing!! That big friend die cut looks amazing as part of your sentiment. I really like how you backed the strip with the lace. Wonderful card my friend. Hugs! Beautiful card and sentiment, Audrey! Love the lace trim on the belly band. fabulous and amazing color combo, I love the design in your card! Love the mixed media! Beautiful card! Love your card and all the different techniques you used to create it! Absolutely GORGEOUS! I love love love the colors and the sentiment!!!!!!! Love your card and the ribbon behind the sentiment really makes it stand out. Beautiful! I love your grungy design with the stitching and lace…it is beautiful with the soft water coloring. Wonderful card design! OMG what A fabulous Shabby/Chic Card….I love how you stitched around it….your stamping is awesome and your watercoloring is Amazing…definitely a creative work of art. 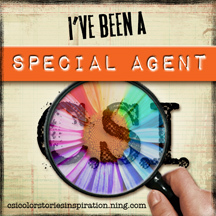 You so did a super outstanding creative job! WOW!! YOU so ROCK!! I love the way you turn simple into “wow” and make it look effortless. This is beautiful! That is one big stamp! I love what you have done with it! All Emma’s creations are magic right? Very pretty. I like the watercolored background and the lace trim. Love the colors and lace trim!! Beautiful card!! Thanks for sharing! I love this, the colors, the details, I just love everything about it! Nice card, thank you for an awesome week of sneaky peeks. It was really great! Totally love the graphic look to this card!! The embossing gives it that luxury feel too! Love the blue peeping out from the…. (I cant believe I’m going to say this!…) ‘bellyband’! hee hee. Gorgeous Audrey! It’s lovely. I love that background stamp. Love the addition of the trim and sequins for texture! Your special friend will be in breath-taken-away awe when this appears in their mailbox! Absolutely gorgeous! I love the effect of the inking and embossing. The distressed edges of the embossing…so cool! This is wonderful, Audrey! I love it! That’s a really nice word diecut…. Fun card! Love the blues and all the texture you added!